Home » Previous Articles » Are Video Game Narratives Postmodern? Are Video Game Narratives Postmodern? An editorial in the twentieth anniversary issue of the journal Postmodern Culture in 2010 added another voice to mark the gradual retreat of the postmodern. Somewhat defensively, the editors suggested that the journal’s mission had always been “to cultivate theoretical and critical cultural studies of the contemporary period” in general rather than a group of artworks or objects denoted by particular aesthetic attributes. Indeed, postmodernism itself “cannot be understood as a set of stylistic or formal features or attitudes” (Amiran, n. pag.). Postmodernism, then, turns out to be little more than a broad synonym for the present and a pseudonym for the patchwork character of contemporary culture. The imprecision of the postmodern concept – not itself a new observation, of course, but one given added prominence by being acknowledged in one of its leading journals – is evidenced by the way in which the term continues to be used in relation to video games which, even as they offer fundamentally new models of narrative, are still described as postmodernism’s technological apotheosis. The reasons for this are partly historical, stemming from the high-theoretical moment of the 1980s. Fredric Jameson’s landmark essay "Postmodernism, or the Cultural Logic of Late Capitalism" noted that “the most influential interpretive option” available to critics at that time was “to grasp the text as a game” (Jameson 143). As Espen Aarseth has observed, it is for this reason that as they grew to prominence video games were not accorded the status of being a new genre in their own right, but merely supplied a confirmatory metaphor for a view of printed texts that pre-existed them (Aarseth 3–5). As long as it talked in Barthesian terms about the death of the author and licensed the reader to act as co-producer of the text, literary theory could situate games within a model that stressed narrative variability. A patchwork of contemporary culture: can postmodernism be theorised any more precisely than in terms of pastiche and intertextuality? Such a model is not wholly incorrect, although ludological theory would rightly stress that it is insufficient to give a complete account of how game narrative, unlike written narrative, functions. However, it is important not to presume that games must be always already postmodern simply because their structural features – variability and unpredictability, the blurring of subjectivities between embodied player and virtual avatar – seem to slot within an extant framework. For before we even ask the question “is a particular game postmodern?” it is not at all clear that when we talk about “games” in general we know precisely what it is we are referring to. Perhaps uniquely among media objects, games challenge our attempts to adjudicate between different stylistic and formal qualities so that we can, say, judge one artefact as modernist, another as realist, and another as postmodernist. When criticism looks at more conventional forms of art and tries to distinguish one aesthetic movement (such as realism) from another (such as modernism or postmodernism), the necessary presumption is that they also have much in common. Robinson Crusoe may have a very different narrative method to Ulysses, but they are both novels or, to use the more elastic term, narratives; thus the same analytical approach can be brought to bear, and through the same approach we are able to discern more granular differences in style. Or in relation to visual art, John Constable’s oil painting Hay Wain may little resemble Jeff Wall’s photograph Destroyed Room, and clearly one belongs to the tradition of realism and the other to surreal postmodernism. However, we can identify such generic shifts only if we first acknowledge that painting and photography are two sides of the same coin, two efforts to strike at or ironically undermine representation through essentially comparable media (a point made in a recent exhibition at the National Gallery). Similarly, if we sweepingly assert that all video games are postmodern then this implies that running beneath different examples of games there is a common substrate based on which we can judge finer aesthetic differences between examples, or from which we conclude that games are, in general, examples of postmodernist “texts.” However, just how much ground is shared between different video game specimens? A game of bowling on the Nintendo Wii might best be understood in terms of its real-life counterpart, as a sport that coincidentally happens to be digital rather than embodied. But if Wii bowling is best understood in this way, why is it that Call of Duty, which is also a simulation of a real-life activity, cannot be understood as a straightforward replication of actual war? When thinking about game styles, we must acknowledge that different games, though superficially similar, may be better understood according to different models, sometimes from outside the field of video games entirely. Even as we do this, though, we should not impose metaphors from other fields unreflectively. 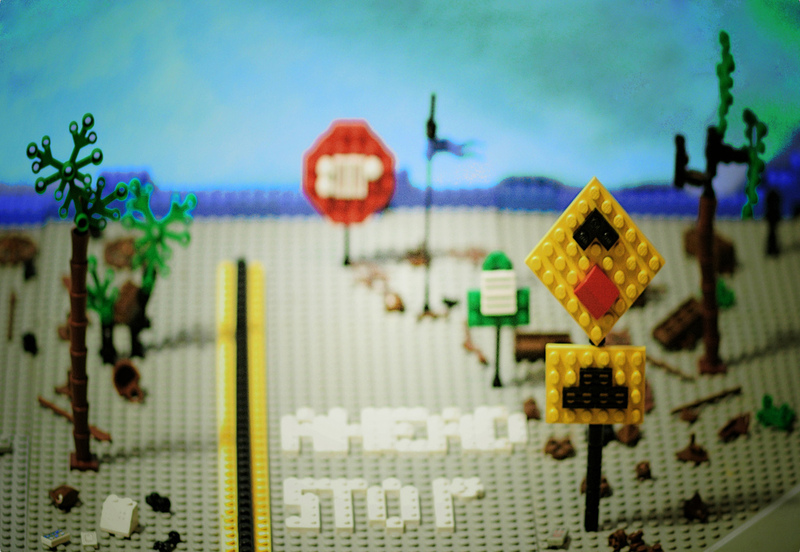 In particular, we need to be especially cautious not to over-extend terms like “narrative” or “text.” A game like Mass Effect, with 250,000 words of dialogue, might well be studied narratologically, but if so it offers a very different type of “narrative” to that of Minecraft in which the only story is that which the player writes for themselves through their own methods of creation. This is not to say that video games cannot be postmodern, just to stress that we should not unreflectively assume all games are so simply because of the way we engage with them, interactively. The importance of stylistic discernment is best exemplified by considering the development of the Grand Theft Auto (GTA) series. Across 15 years (the first game was launched in 1997) different stylistic elements and cultural contexts have come into play at different intervals, with varying postmodern values attending throughout. Fredric Jameson suggested that whilst modernist artists consciously alienated themselves from the capitalist world in order to posit a more utopian alternative, postmodern art unselfconsciously works with the same economic codes as the society in which it is produced. This particular way of defining the postmodern certainly seems to apply to GTA. The series is produced by a Scottish developer, Rockstar, but is set in America, whilst running on hardware made predominantly in the Far East. At a material level, GTA is an unashamed product of global capitalism even as it seems narratively to critique it (for example, San Andreas implies that crime provides the only way for an African-American to achieve the material success demanded by the advertising, Hollywood-esque culture in which he is saturated). Yet just because the material distribution and manufacture of a game like GTA is globalised and ironically conflicted, it is not particularly useful to say, pace Jameson, that it is postmodern by definition. Indeed, one could argue that the series demonstrates an increasing self-awareness with regards to its own postmodernity, which in turn implies that the earlier iterations are less straightforwardly canonised as such. The 1997 game gave players the opportunity to recreate, in a cartoonishly hyperbolised way, moments from iconic gangster films. 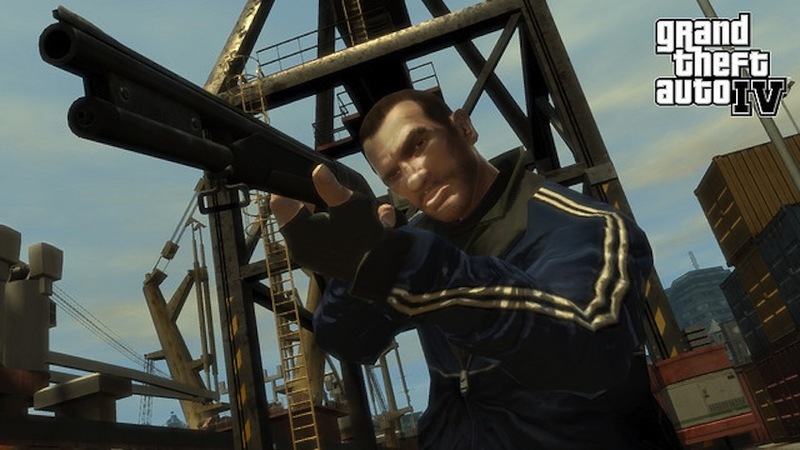 Famously, commentators and politicians accused the early GTA games of inculcating violence in players. They failed to notice that the early games simply replicated representations of violence which were already out there in American cinema, but here legitimated as the work of geniuses such as Quentin Tarantino or Francis Ford Coppola. However, as the games became accused of causing the violence that they merely reflected back at society, GTA – particularly San Andreas (2004) and GTA IV (2008) – took this up in an anarchistic spirit. By parodying chat radio and hyperbolic Republican politicians on the in-car stereo, GTA showed that discussions of violence have become commercialised, a selling point for shock-jock DJs and the right-wing media. If anything it is the trivialising of politics, not the objects like GTA that politicians cheaply criticise, which is to blame for a moral malaise. In this Baudrillardian feedback loop, moral values are not merely represented in fiction, but are shown to be always already constructed as a capitalised discourse. Rather than being a homogenous, catch-all definition, the emphasis of the postmodern shifts to become increasingly conscious: firstly the game is postmodern mainly because of the economic base from which it arises, and latterly because it becomes ironically aware of that base, in particular the commodification of politics which it both exemplifies and critiques. Should we assume all video games are postmodern because of our interaction with them? Grand Theft Auto demonstrates an increasing self-awareness of its own status as "postmodern"
Postmodernism conceived of contemporary culture as a spectacle before which the individual sat powerless, and within which questions of the real were problematised…Its successor, which I will call pseudo-modernism, makes the individual’s action the necessary condition of the cultural product. Pseudo-modernism includes all television or radio programmes or parts of programmes, all “texts,” whose content and dynamics are invented or directed by the participating viewer or listener…Pseudo-modernism also includes computer games, which similarly place the individual in a context where they invent the cultural content, within pre-delineated limits. The content of each individual act of playing the game varies according to the particular player (Kirby, n. pag.). Kirby argues that the essential feature of the pseudo-modern text is that it is non-reproducible because it is affected by the audience. Yet far from escaping the postmodern, such a definition rehearses the same old problem. Video games are by definition pseudo-modern because they are interactive, and because the same narrative can never be replayed twice. By contrast, only certain examples of other media are pseudo-modern: X-Factor, responding to the direction of an audience, may be, but a conventional radio drama is not. Surely, though, if any definition of an aesthetic is to be discerning it needs to apply selectively. To imply that by virtue of the medium on which they run all games are pseudo-modern but only some works of television are is clearly problematic. It is not my aim here to construct an alternative taxonomy of game styles or sub-genres. It is indeed not at all clear where one would begin with such a system of classification. Again this is because unlike the novel, music or most visual art, the medium upon which games run is so variable, and the medium uniquely predetermines the kinds of messages that are available. Should games be classified first according to their platform? Mobile games, for example, have specific technical possibilities and presume different audience needs which substantially determine the types of graphical presentation and experiences they aim to portray. Should games be classified according to their period? This would seem to be unhelpful. After all, it is quite natural that any game on the ZX Spectrum will be less “realistic” (should we wish to apply this term as part of our attempt to categorise style) than that on an Xbox but this does not necessarily mean that an Xbox game (such as a platformer) is generically different to its Spectrum counterpart; by contrast two Xbox games chosen at random from the same period may be wildly different to each other. It is therefore inadequate to assume that video games are postmodern by virtue of something innate in the medium (namely, interactivity) when the types of interactive experiences vary so much, sometimes dependent on hardware and at other times on conscious design decisions. Yet dealing with these challenges and offering some finer-tuned judgements of game style will become increasingly important as, weirdly, games start to turn full cycle and return more closely, and genuinely, to resemble models of previous media such as text and film. Narratively-driven games such as Heavy Rain, L.A. Noire, and the forthcoming Beyond: Two Souls sit somewhere between passively observed movies and conventionally interactive videogames. The player shapes the path of the narrative, acted by very convincing digital models, and it is narrative and not unrestrained violence, points scoring, or level completion which is central to the player’s experience as in a film. By the postmodern or pseudo-modern definition something like L.A. Noire would be seen as a radical and ironic pastiche of cinematic noir principally because it is (but what else could it hope to be as a game?) interactive. The medium predominates the message. 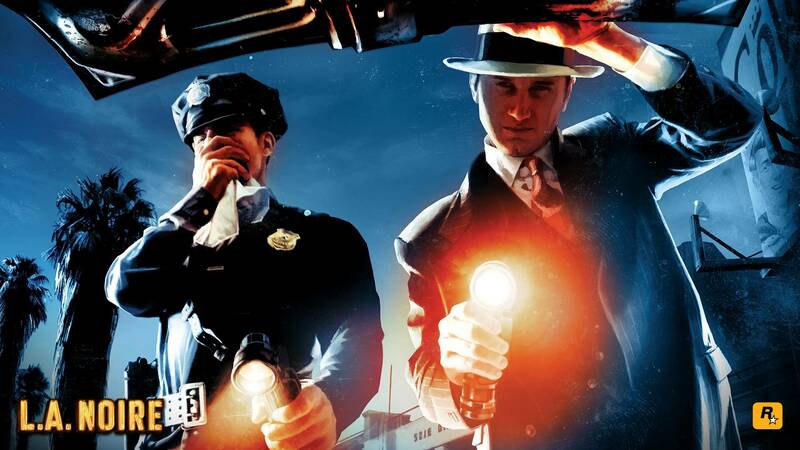 However, arguably the best way to situate L.A. Noire is not as a parody of noir but as a natural continuity that just happens to be instantiated on a different platform. Of course, as ludological theorists would point out, we cannot simply study games as if they are another form of “flat” narrative like a film but rather as structured programs designed to encourage our involvement. Nevertheless, we have to be prepared to ally games to established forms of aesthetic discourse; LA Noire could be seen as retrogressively noir in an aesthetic sense before it is proleptically postmodern or pseudo-modern in its interactive structure. This, I would suggest, is why those of us emerging from the cult of the postmodern need to return to the basic work of analysing “stylistic or formal features or attitudes” of individual aesthetic objects – something the Postmodern Culture editorial claims was not the interest of postmodern theory, even though to speak of postmodern culture implies that all artefacts of modernity (such as video games) are potentially postmodern due to some shared style. At some early evolutionary point, periodic or generic labels offer a generative power, denoting and thereby inspiring a genuinely new movement; yet as the avant garde becomes mainstream, the label starts to suffer from a predictive fallacy so that everything of the present is assumed to belong to it. This is what is happening now – perhaps has been happening almost as soon as postmodernism began. In video games, however, we have a genuinely new departure. Studies of game culture are returning to the aesthetic, to formal features, to figure out what differentiates one game from another. As the new discipline emerges, as theorists attempt to define and understand the variety of game narratives and methods, this work will best be done outside of the looming shadow of postmodernism. Dr Alistair Brown is an Associate Lecturer at the Open University, teaching courses on the arts and literature, and a Postdoctoral Teaching Assistant in English at Durham University, where he also edits the impact blog Research in English At Durham. His PhD on Demonic Fictions: Cybernetics and Postmodernism was completed in 2009. Aarseth, Espen. Cybertext: Perspectives on Ergodic Literature (Baltimore: Johns Hopkins University Press, 1997). Print. Amiran, Eyal. “Preface: PMC at 20.” Postmodern Culture 21.1 (2010): n. pag. Web. 26 Mar. 2013. Jameson, Fredric. Postmodernism, or, The Cultural Logic of Late Capitalism (Durham, NC: Duke University Press, 1991). Print. Kirby, Alan. “The Death of Postmodernism and Beyond.” Philosophy Now (2006): n. pag. : http://philosophynow.org/issues/58/The_Death_of_Postmodernism_And_Beyond (accessed 11 May 2013). Please free to comment on this article. Thanks for this article Alistair, really interesting. I'm glad someone finally said this about video game studies! As for how we should go about analysing and studying video games, I'm still not quite sure where scholars should start. Maybe something along the lines of generational video game studies, then sub-genre studies, if that makes sense at all? You're right – dividing up the field effectively is a big challenge. The obvious thing would be to periodise: early game studies, first generation console studies etc.. This would be not unlike the way in which literary studies has developed, and how the discipline works pedagogically. The problem with this – as with periodisation in general – is that it ignores stylistic connections that arc across generations, something perhaps especially obvious in such a young field. For example, even now we are getting reboots (e.g. Mortal Kombat) of early-generation games on next-generation devices just 10 years apart. How do the twins deserve to be studied from a periodic perspective? Then of course there is the option to focus on genres (shooter, RPG etc.) which is probably more productive. For the reasons I mention in the article, I think we do need to see each type of game in terms of its major references and external models (e.g. a sports sim best studied in terms of real sport, but an RPG in terms of something else). Whatever the discipline settles on, though, I think we do need to develop a sense of refinement and specialisation. What we want to avoid – and where the discipline has been in its early years – is game studies simply being assimilated into wider cultural studies. This leads to lots of really interesting material on, for example, portrayals of gender in video games, or depictions of violence, or the use of Manga style. But whilst these studies are worthwhile in their own terms, they don't really get to what makes a game a "game," and worth studying as a discrete discipline, a la English literature, fine art, music etc. In short, roll on with the sub-sub-genre studies!